Being associated with top-rate cricket and popular TV programmes clearly isn’t enough for Phil Tufnell: he is now also turning his attention towards keeping children safe by backing a brand new safety campaign.The Tufcat campaign follows in the footsteps of those 1970s, 1980s and 1990s promotions aimed at teaching children how to stay safe in a number of different circumstances. Famous previous campaigns included the Tufty Club (for road and rail safety), the Green Cross Code (famously backed by stars such as Alvin Stardust, Jon Pertwee and footballing legend Kevin Keegan) and Charley the talking cat (to protect against stranger danger). If you grew up in one of those decades, you will probably remember some of the adverts that were produced as part of those safety drives. They generally involved showing scenes where a child or children were in danger (for example, kicking a football into a road and running after it) and then showing what could have happened if the Green Cross Code man, Charlie the talking cat or Tufty the squirrel hadn’t been there to avert disaster. Those adverts were very successful and children seemed to take their messages on board. Yet, even though traffic has increased greatly (and children are more likely to be distracted whilst out and about by using mobile phones and MP3 players), safety campaigns have rather died out. This struck Stephen Turner of Turner Fine Arts as rather odd. 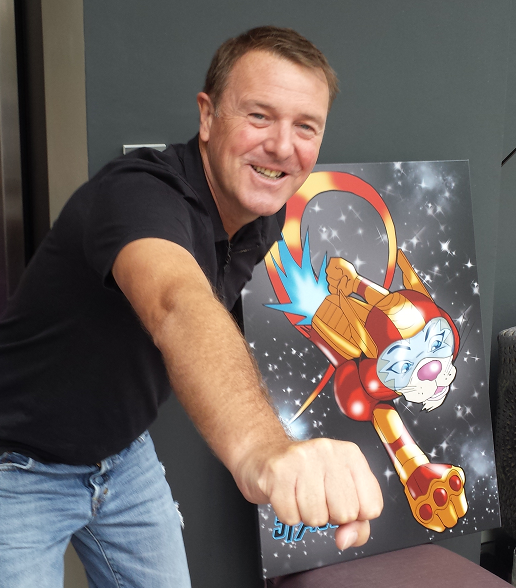 He is Phil Tufnell’s art manager and together they agreed that a new safety campaign was needed for today’s children. 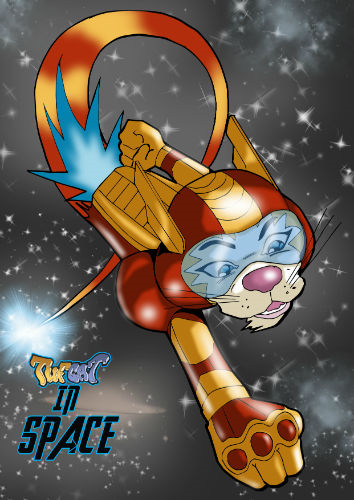 Phil Tufnell threw his support behind the idea and gave his name (Tufnell combined with ‘the Cat’ – his cricketing nickname) to a new character, Tufcat. Tufcat will front a series of storyboards and talks in schools about the dangers that children face in modern Britain and offer simple, common sense advice about how to keep safe when presented with those dangers. Tufcat will help children to protect themselves from a variety of risks, from traffic and railways to strangers and knife crime. He will also encourage children to use Childline if they experience a situation that they cannot resolve on their own. Pilot sessions in schools are proving successful so far and the campaign is set to roll out nationwide very soon. 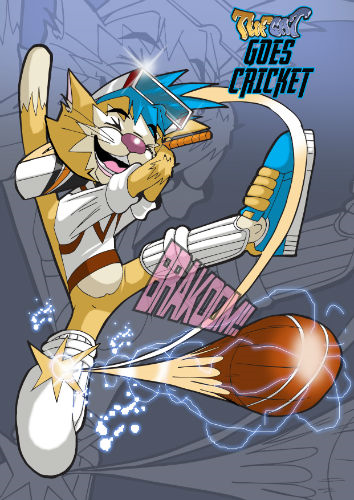 We’ll be featuring Tufcat’s progress on this blog to support their good work.